If you do not like beans, you can not add it. Instead, small pots, you can use a baking dish with a lid, a volume of about 2.5 l. When serving sprinkle with herbs — parsley, dill or chives. Beans soak for 3-4 hours (preferably overnight). 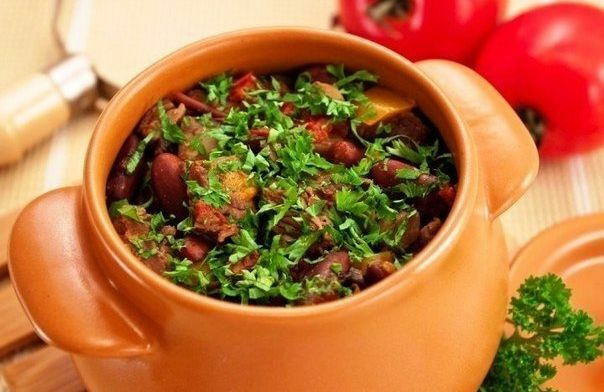 Boil the beans until tender (the exact cooking time is not prompt, different varieties of beans cooked in different ways). 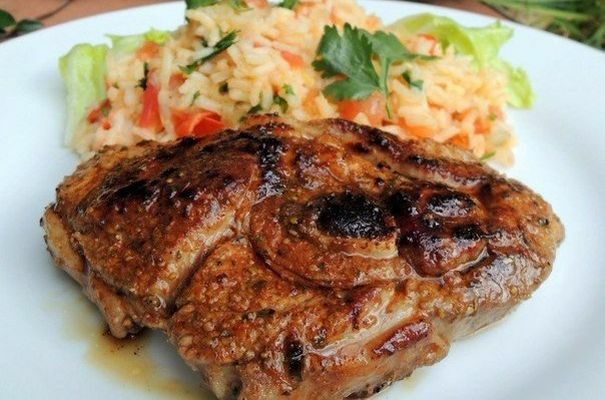 The meat cut into small pieces. Mushrooms cut into small slices. Peppers remove seeds and cut into strips. In vegetable oil fry the onion. Add meat and fry a little. Add the mushrooms, salt and pepper. Add pepper and fry for 5 minutes. Add the tomatoes and fry for 2-3 minutes. In a pot put a little meat. Pour a little water (about 50 mL). Bake at 180 degrees for an hour.